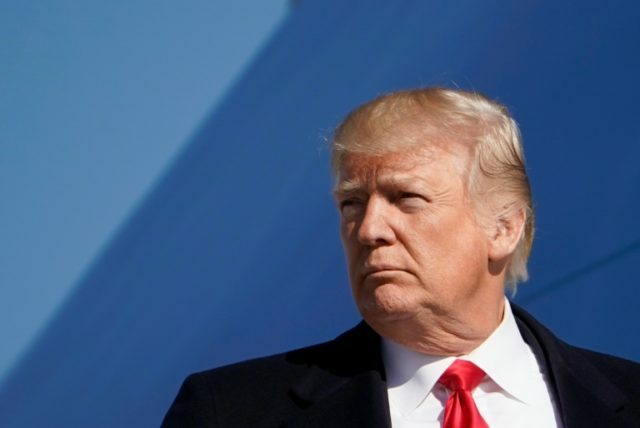 Washington (AFP) – US President Donald Trump marked the first anniversary of his inauguration on Saturday with his government in shutdown, lashing out at Democrats over the collapse of budget negotiations as lawmakers seek to thrash out a deal. When the clock struck midnight, federal services began to halt or be scaled back in the absence of an agreed spending plan. Essential services and military activity will continue, but hundreds of thousands of public sector workers will be sent home without wages and even serving soldiers will not be paid until a deal is reached to reopen the US government. “This is the One Year Anniversary of my Presidency and the Democrats wanted to give me a nice present,” Trump, who is in Washington instead of celebrating the anniversary at his Mar-a-Lago resort, wrote on Twitter early Saturday. “Democrats are far more concerned with Illegal Immigrants than they are with our great Military or Safety at our dangerous Southern Border,” he tweeted. Vice President Mike Pence raised the issue of soldiers’ salaries after meeting with US military personnel on a stopover in Shannon Airport in Ireland ahead of a three-country tour of the Middle East. A deal had appeared likely on Friday afternoon, when Trump seemed to be close to an agreement with Democratic Senate minority leader Chuck Schumer on a measure to prevent the expulsion of undocumented migrants who arrived in the country as children. The Senate was due to reconvene at noon (1700 GMT) on Saturday. Republican majority leader Mitch McConnell is seeking a new stop-gap measure to fund the government till February 8. The White House lashed out at Schumer, blaming him for the shutdown and doubling down: Trump’s spokeswoman Sarah Sanders declared that he would never negotiate an immigration deal until Congress agrees to resume normal government spending. “Senate Democrats own the Schumer Shutdown,” she declared. “We will not negotiate the status of unlawful immigrants while Democrats hold our lawful citizens hostage over their reckless demands,” Sanders said. McConnell echoed the White House’s language, but Schumer fought back, blaming Trump for leading him to believe a deal was possible on the immigration dispute but then failing to bring his own party along. “Every American knows the Republican Party controls White House, the Senate, the House — it is their job to keep the government open. It is their job to work with us to move forward,” Schumer told the Senate, after the 50 to 49 vote. Schumer added he had also offered to discuss the possibility of building a wall along the border with Mexico, a key campaign pledge made by Trump that is anathema to many Democrats. “Even that was not enough to entice the president to finish the deal,” he said. Democrats accused Republicans of poisoning chances of a deal and pandering to Trump’s populist base by refusing to fund a program that protects 700,000 “Dreamers” — undocumented immigrants who arrived in the US as children — from deportation. “I think our members are frustrated, they’re disappointed in the president and members of Congress that they’re not funding the government — doing their job — as we do our jobs everyday going to work servicing the American people,” J. David Cox, the president of one of the largest unions representing government workers, said on CNN.